VRSN in the fourth quarter of FY 18 has reported the adjusted earnings per share of $1.58, beating the analysts’ estimates for the adjusted earnings per share of $1.21. The company had reported the adjusted revenue growth of 4 percent to $307.45 million in the fourth quarter of FY 18, missing the analysts’ estimates for revenue of $308.64 billion. The operating margin in the fourth quarter came to 63.1% compared to 59.7% in the same quarter a year ago. Moreover, during the quarter, Verisign and the U.S. Department of Commerce have entered into Amendment 35 to the Cooperative Agreement. According to which, among other items, permits Verisign, without further approval of the DOC, to agree with the Internet Corporation for Assigned Names and Numbers to change the .com Registry Agreement to increase wholesale prices for .com domain names up to 7 percent in each of the last four years of each six-year period of the .com Registry Agreement. For 2019, VRSN expect the domain name base growth rate to be between 2.25% and 4.25% for full year 2019. During the fourth quarter, the company continued the share repurchase program by repurchasing 1.2 million shares of common stock for $175 million. During the full year 2018, the company repurchased 4.4 million shares for $600 million. 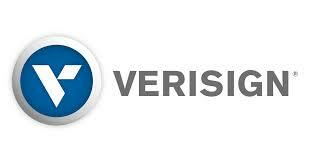 The company’s Board of Directors has increased the amount of VeriSign common stock authorized for share repurchase by approximately $603 million to a total of 1 billion authorized and available under the share repurchase program, which has no expiration.